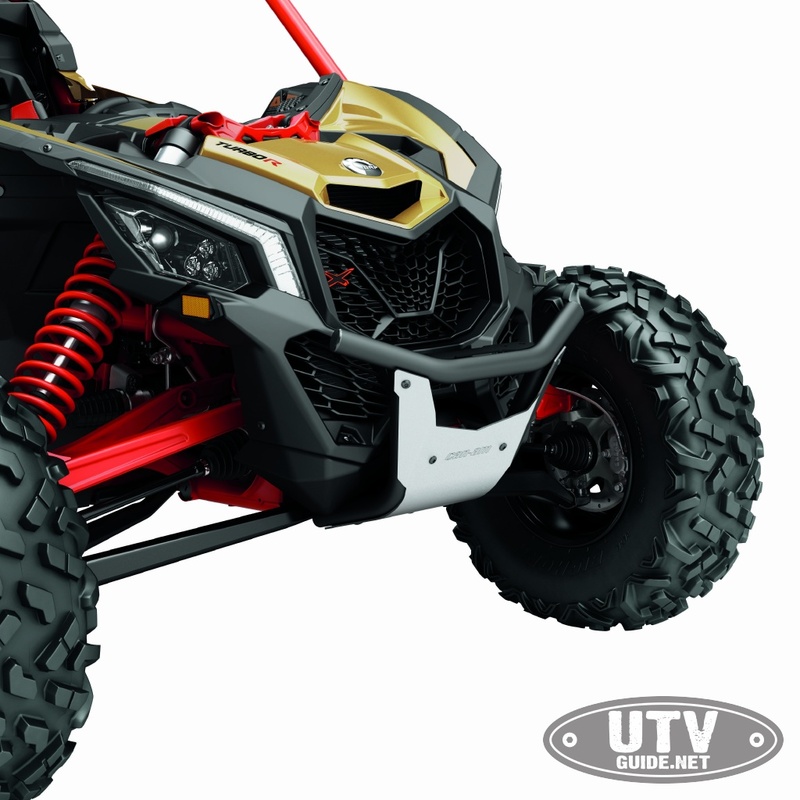 With the seasonal gift-buying season upon us, it’s always good to have plenty of options for that powersports fanatic in your family. 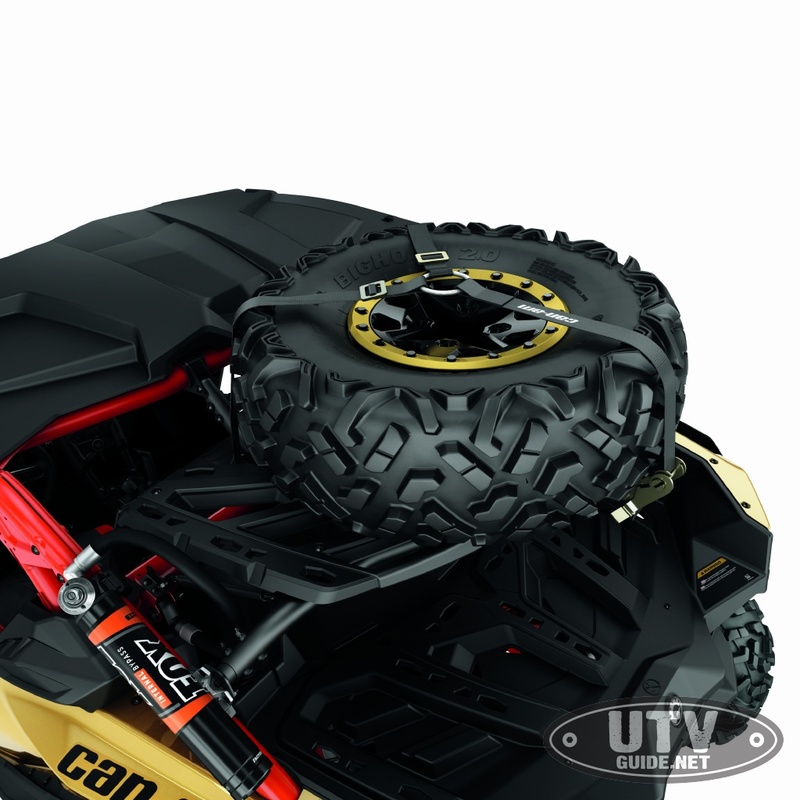 Can-Am offers many accessories for its Can-Am Maverick X3 side-by-side vehicle family and thousands of parts, accessories and gear (both riding gear and casual apparel) to support the off-road lifestyle. 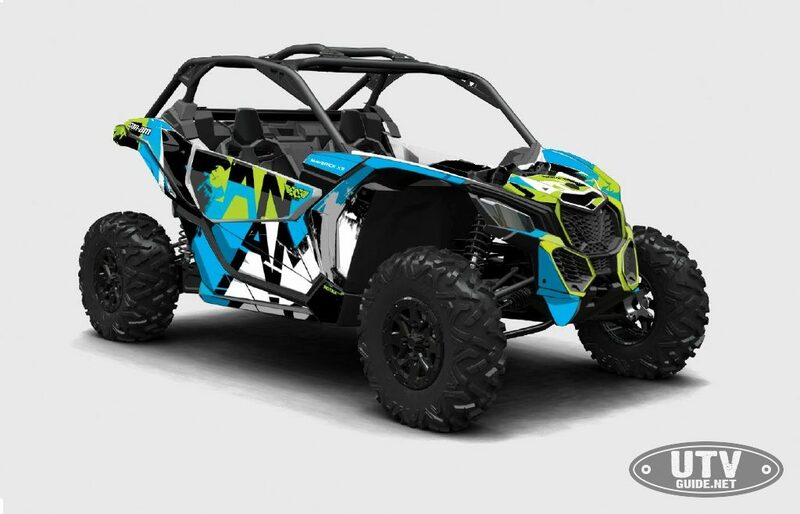 Here’s a list of a dozen specialized accessories to bring new levels of customization and enjoyment for those current Can-Am Maverick X3 owners and prospective buyers. Rugged Radios has everything you need to outfit your Can-Am Maverick X3 with clear communications. 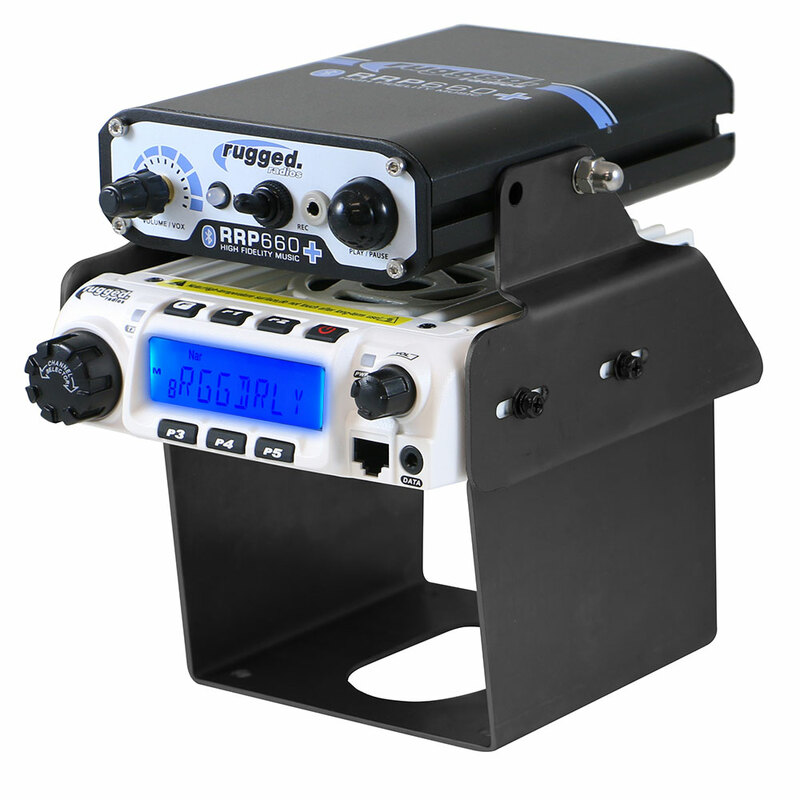 Connect two people with the RRP660 PLUS intercom, Helmet Speakers, powerful 60-watt RM-60 VHF radio and mounting bracket. In-car and vehicle-to-vehicle communications has never sounded so good! Based on the tried and true RRP660 Intercom, the new RRP660 PLUS offers wireless music streaming from any bluetooth device including your phone. Simply pair your device with the RRP660 PLUS Intercom and anyone that is connected can hear the music through their headset or helmet kit. A high output amplifier provides high fidelity audio while using bluetooth devices. You can’t go wrong with the Rugged Radios Communications system for your UTV. Quality products, at a competitive price. Work. Race. Play. The durable, lightweight 0.083” (2.1 mm) thick aluminum roof totally changes the Maverick X3 vehicle’s appearance, giving it a sporty, race-inspired look with its lower profile. 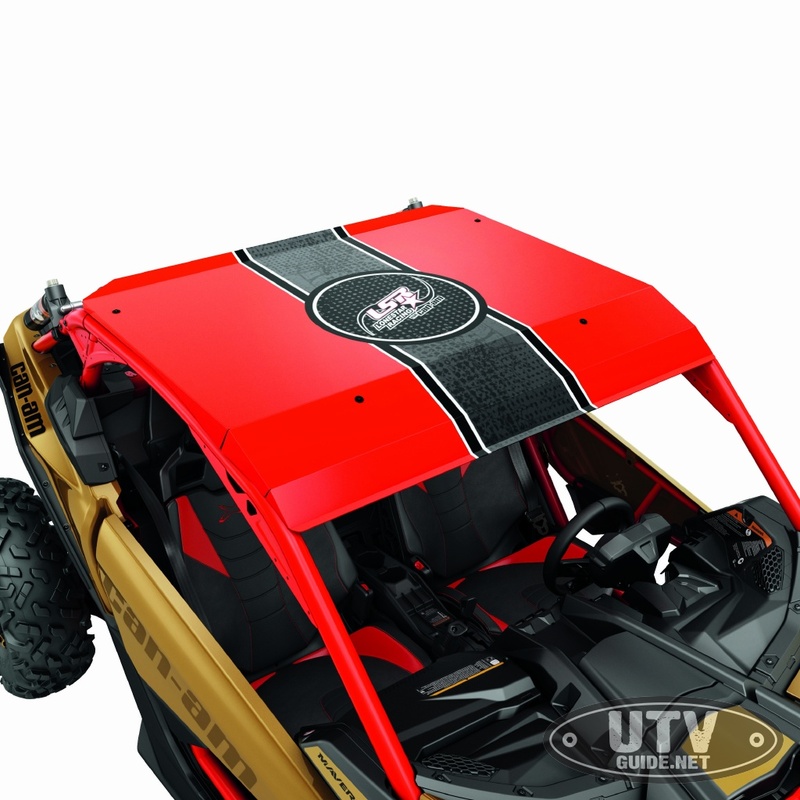 While offering excellent protection from the intense sun, pouring rain and other debris, the Lonestar Racing roof comes in two color schemes with custom graphics and is branded Lonestar Racing for Can-Am. The roof works with the Lonestar Racing Light Bar Racks, too. Enhance the racing appearance and add high-level comfort to your Can-Am Maverick X3 with true performance seating from Beard Seats. Built specifically for side-by-side vehicles, the seats — available in three colors and sold in pairs — provide excellent body posture and cushioning for both driver and passenger, especially in harsh terrain. 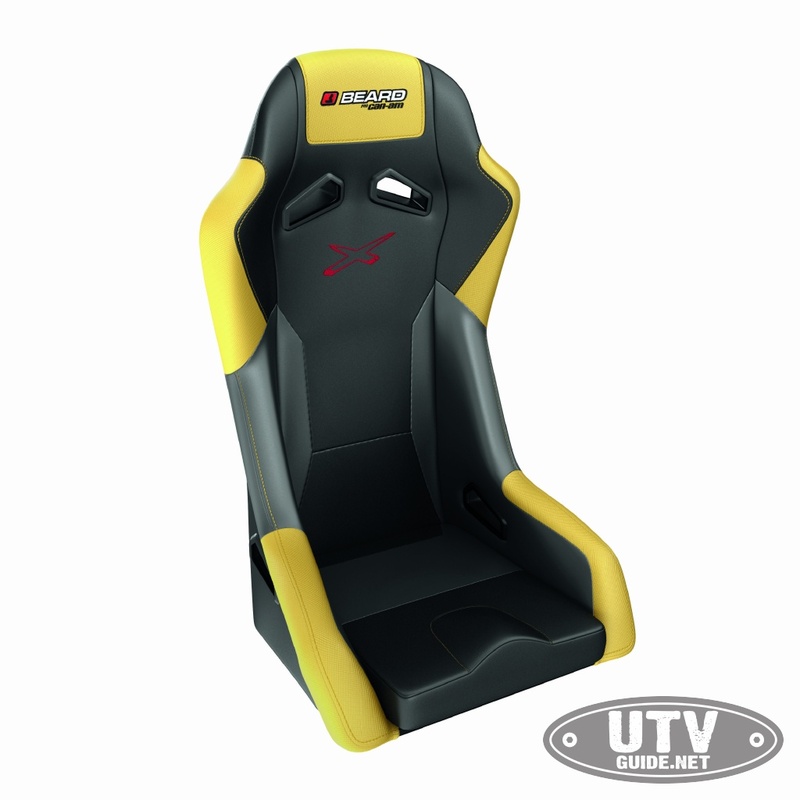 The seats have a purpose-built seat angle and wide pitch range for supreme occupant comfort and containment. A custom cover of premium marine-grade vinyl (resistant to mildew and fading) wraps a hard fiberglass shell and sculpted foam meeting the durability demands of off-road riders. Seats require a 4-point harness. For those who want to push their Maverick X3 further or need a different feel from their seat belt system while in the cab, a 4-point harness system is available for both driver and passenger. The harness kit reduces “submarining” and has an exclusive controlled decelerator to absorb energy in case of an accident. The harness also includes an easy one-click latch / release setup with a safety buckle switch (driver). The 4-point system means no uncomfortable crotch strap. Each harness is sold separately. One way to beat the desert heat is stay hydrated. It’s even better when your water and sports drinks are cold! A must-have for long runs in the desert, the weather-resistant LinQ-compatible cooler box has rotomolded construction for excellent rigidity and durability. Premium-quality foam insulation means the ice inside will last. An integrated, fully removable compartment protects food. When the ice melts, a simple drain plug helps remove the water. 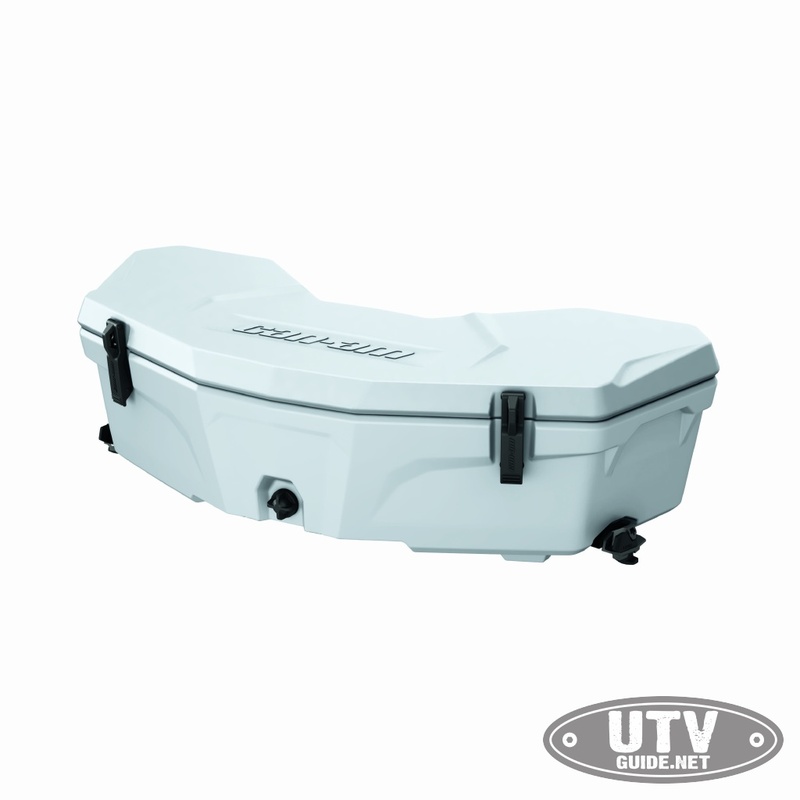 The cooler also locks to provide added security during overnights and lunch stops. It fits on all vehicles using a LinQ rack. Versatility and functionality to the max! The upper LinQ latched rack enables the Maverick X3 to use extra LinQ mounted accessories or carry a spare tire. 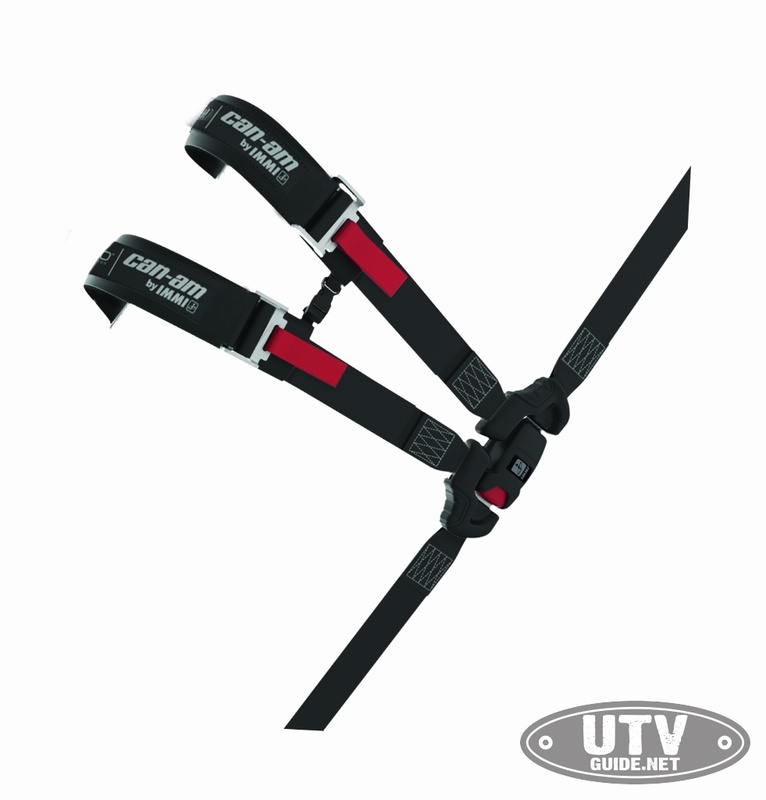 It includes a custom tie-down strap for fast spare tire installation or removal. Twin gas-cylinder arms provide pivoting action and also lock in the raised position to allow easy access to the lower rack. Check for fitment issues with other accessories. Comes in black or a Can-Am Red finish. Take the show on the (dirt) road. Adding an entertainment system to your Maverick X3 side-by-side vehicle is easy with the Electronic Device Holder. The robust injected-polypropylene constructed unit is easy to install and offers adjustments to fit tablets and smartphones between 5.1 inches (13 cm) and 10 inches (25.4 cm) with a protective case. This console system also can be combined seamlessly with Complete MTX Audio System (separate accessory) and allows the installation of the Garmin Montana 680T GPS (separate accessory). The holder includes an integrated 1-gallon (3.8 L) storage compartment with access to the dash 12V outlet for charging devices. Add a custom look to your Maverick with the bolt-on Dune Front Bumper. Made of 1.5-inch (3.8 cm) diameter aluminum tubing with a 1/8-inch (3 mm) aluminum plate, the bumper supplies added protection without hampering performance. The lighter weight design has a more pronounced attack angle. Available in Can-Am Red or black, the bumper includes built-in mounting points for lights, includes the mounting hardware and has inner/outer anti-corrosion coating with a powder coat finish. It’s time to improve your night vision, off-road style. Made by Baja Designs for Can-Am, the 4 Cree XHP50 LEDs can illuminate the darkness with their 9,500 lumens. The kit features dual intensity (high/low) settings as well as a driving/combo light pattern for blending the light to reveal terrain near you and in the distance. Fits Pre-Runner and Dune bumpers or light support bar systems. The Baja Designs lights are sold in pairs and require a light power cable (additional accessory). Full doors provide an instant customized look and more protection for the driver and passenger. 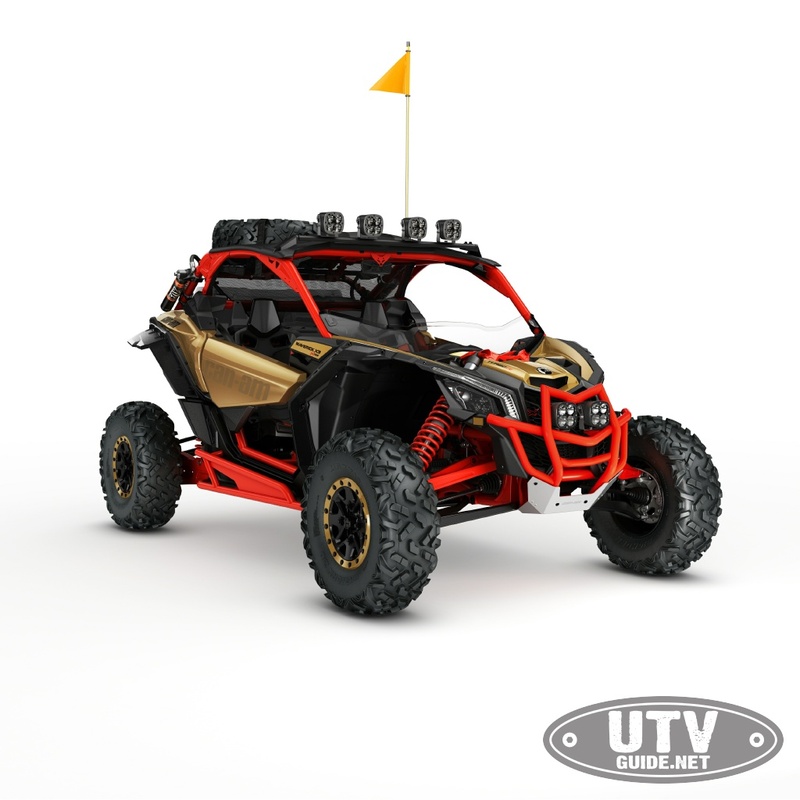 The robust injection-molded polypropylene constructed lower panel doors are built to last and also designed during the Maverick X3 development stage to offer the perfect fit. The lower door panels attach to the current stock ¼ doors and X3 cab to create a full door look. Available in black, they are sold in pairs. The new Maverick X3 slip-on exhaust system from Yoshimura provides an authentic performance gain (2.5% over stock) and saves weight (19% over stock). 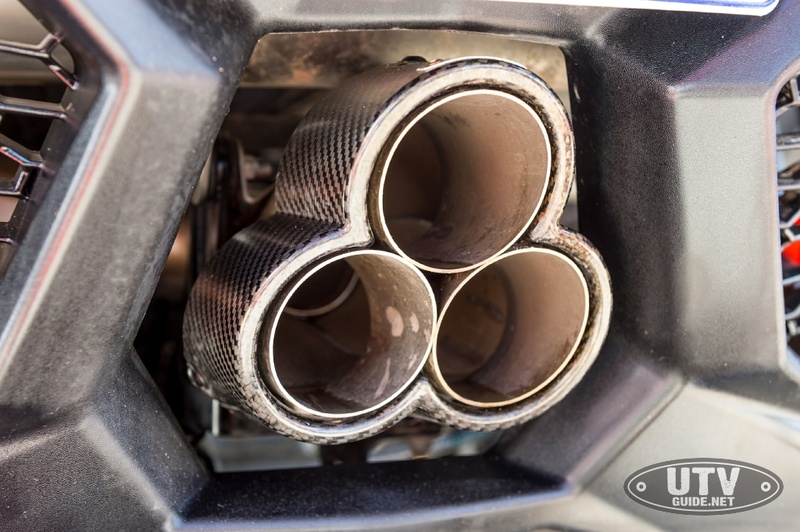 The exhaust system features a stainless steel muffler, carbon-fiber tip covering the tri-tip oval caps. The ROHVA-compliant system produces a distinct, throaty sound, yet maintains a friendly 93.7 dB level at 3,625 rpm to not annoy others. Now you can jam to your favorite tunes when you’re behind the wheel of the industry’s most impressive side-by-side vehicle. The Bluetooth 5™ equipped 400 (RMS)/800W Audio System by MTX is designed to be Can-Am tough and work in some of the most demanding riding conditions. It includes front-dashboard and rear, ROPS-mounted stereo speakers and a head unit with an integrated 6.5-inch (16.5cm) subwoofer capable of producing a deep growl. 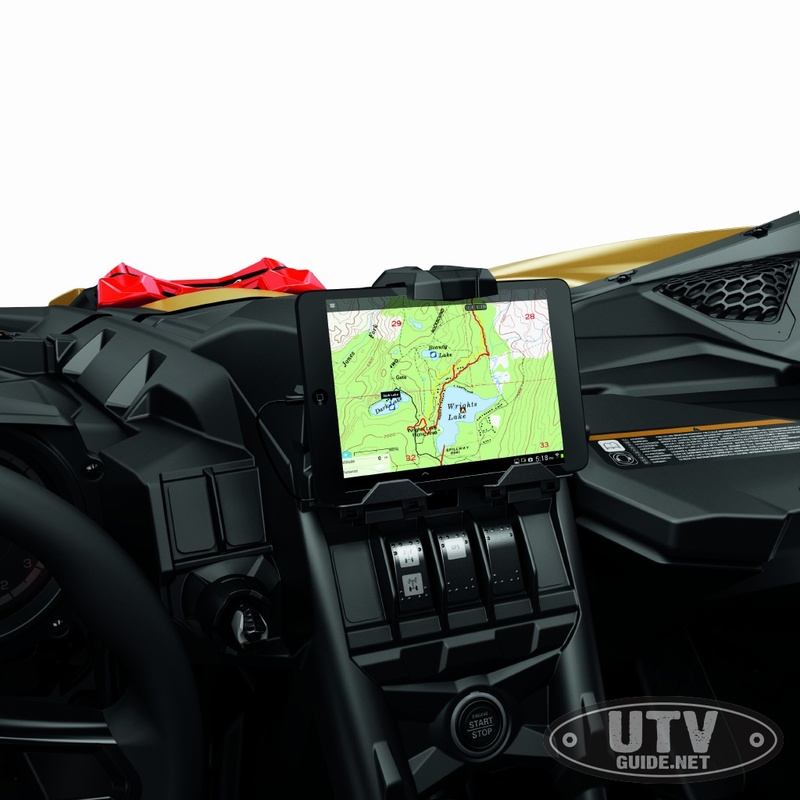 It is adaptable with the Can-Am Electronic Device Holder (sold separately) and Bluetooth device. Coming soon to a dealership near you. The SCS Unlimited wrap kits were designed in collaboration with BRP designers to offer a perfect fit on the Can-Am Maverick X3 side-by-side vehicle while also adding a unique appearance to the vehicle’s head-turning signature look. The kits are made tough, with 0.004-inch engineering-grade vinyl overlaid with 0.008-inch UV-protective laminate. The wraps install easily and are designed for off-road use. Choose from at least six different themes, each available in numerous color patterns (XTRA, Undertaker [shown], Onyx, Buzzard, Pharsyde, Squadron) to give you plenty of creative options for making your X3 side-by-side stand out in a crowd.